Menopause is experienced by approximately half the population and represents an opportunity for psychologists to examine the psychological and social factors that influence perceptions of bodily changes. There is considerable cultural variation in the experience of menopause – what role do attitudes, cognitions, behaviours, lifestyle and socio-economic factors play in this? In particular, what are the psychological factors affecting women’s perceptions of hot flushes and night sweats? And might a new cognitive behavioural intervention benefit the 15–20 per cent of women who have problematic menopausal symptoms? In his book Feminine Forever, Brooklyn gynaecologist Robert Wilson (1966) argued that the menopausal woman was ‘an unstable oestrogen starved’ woman who is responsible for ‘untold misery of alcoholism, drug addiction, divorce and broken homes’. This belief might seem extreme to our 21st-century minds, but Western biomedical science still promotes a view of menopause as a time of poor emotional and physical health. However, the cessation of menstruation does not occur in isolation – it takes place within a gradual process of physiological change, occurring alongside age and developmental changes, and within varied psychosocial and cultural contexts. Perhaps not surprisingly, many Western women tend to report a range of physical and emotional symptoms at the time of the menopause: hot flushes, night sweats, irregular and/or heavy periods, depression, headaches, insomnia, anxiety and weight gain. However, apart from menstrual changes, only hot flushes and night sweats have been clearly associated with the menopause and alterations in hormone levels (lowering of oestrogen levels). Many women in Western cultures report such symptoms, but they are not so common in, for example, India, Japan and China (Freeman & Sherif, 2007). Japanese women in particular, tend to report headaches, chilliness and shoulder stiffness as the most troublesome menopausal symptoms. Interestingly, rural Greek women and women in the Mayan culture have been found to report few problems during the menopause transition other than monthly menstrual cycle changes (Beyene, 1989). In fact, menopause can be a positive event for some women, particularly when it comes with a positive change in social roles and status (Flint, 1975). Since women experience relatively similar endocrine changes at menopause, a biological perspective suggests that symptoms should be universal. Yet there are marked differences in experience of menopause in anthropological studies. Somewhere between biological and cultural understandings of menopause there is a gulf that psychologists are well placed to explore. The menopause transition is an interesting example of a biopsychosocial process in that the majority of women experience some physiological changes, which may be influenced by a range of psychological, social and cultural factors. This makes menopause an important area for psychological research. For example, psychologists have been interested in the social and cultural meanings of menopause; that is, the way in which menopause is discussed and constructed by society and how this impacts upon experience of the menopause. In the 19th century, Western psychiatry dominated thinking on menopause, and it was considered a time of emotional vulnerability with women losing emotional control and exhibiting ‘hysterical’ behaviour. In the 20th century, the medical approach took hold and centred on gynaecology; menopause became an ‘oestrogen deficiency disease’, akin to diabetes, and with a whole host of physical and emotional sequelae, which could be treated with hormone therapy. Late 20th-century and early 21st-century thinking moved towards possible long-term health risks associated with menopause, such as increased risks of depression, heart disease, osteoporosis, cognitive impairment and even dementia. These biological/medical meanings of menopause served to increase fear of the consequences of menopause if left untreated, and were fuelled by the promotion of hormone treatments. We would argue that these negative stereotypes can influence today’s women in their attitudes towards menopause and subsequently their experience of it. There have been – and still are – polarised theories and approaches to menopause and middle-aged women, from biomedical and gynaecological to psychiatry and psychological to psychosocial and feminist theories (Hunter & Rendall, 2007). Each approach suggests different perspectives and quite different treatments for women who have troublesome menopausal symptoms. Until recently, hormone replacement therapy (HRT) was the main treatment for menopausal symptoms in most Western countries. HRT is central to the biological/medical model and boasts a 75 per cent reduction in hot flushes and night sweats. However, the publication of large prospective trials of HRT such as the US Women’s Health Initiative (Rossouw et al., 2002), and the UK-based WISDOM trial (Women’s International Study on long Duration Oestrogen after Menopause: Vickers et al., 2007) suggest small but increased risks of breast cancer and stroke on taking HRT, and the initial hopes for prevention of cardiovascular risks have not been supported. In 2004 the UK Committee on Safety of Medicines (CSM) issued guidance stating that hormone therapy use should be restricted to the treatment of symptoms and the lowest dose should be used for shortest possible duration. Consequently there has since been a decline in the use of HRT from 30 to 10 per cent between 2002 and 2004 (Menon et al., 2007). The results of such trials and the considerable variation in experience of the menopause, both within and between cultures, have challenged the biomedical model. As a result there has been increased interest in the psychological and sociocultural aspects of menopause, and increased awareness of the need for safe and effective treatments for women seeking help for menopausal symptoms who often prefer non-hormonal interventions. How can we explain cultural differences? Cross-cultural research is difficult to carry out but there is increasing evidence that a range of culture-related factors, such as lifestyle (smoking, diet, exercise and reproductive history), socio-economic status, body mass index, mood, climate and cognitions (attributions of symptoms to the menopause, beliefs and attitudes towards menopause) might explain cultural variations in reports of menopausal symptoms (Andrikoula & Prevelic, 2009; Avis et al., 2001; Freeman & Sherif, 2007; Hunter, Gupta et al., 2009). et al., 2007; Freeman et al., 2001; Schwingl et al., 1994; Whiteman et al., 2003). However more recently, Thurston et al. (2009) have found that body fat gains during the menopause transition, rather than high or low BMI, were associated with hot flush symptoms. Women who smoke and have sedentary lifestyles have been found to report more menopausal symptoms. Reproductive history may also be relevant; for example, in the Mayan culture women marry between the ages of 14 and 18 years, have many children and few repetitive menstrual cycles. Mayan women usually enter the menopause in their early to mid 40s, which is about 10 years earlier than women in the UK and North America (Beyene, 1989). The relationship between depressed mood, menopause and hot flushes is complex; in general, some studies have found a slight increase in depressed mood which subsides after the menopause, while other studies find no change. Importantly, depressed mood is more strongly associated with life events and stresses than hormone changes (Bromberger et al., 2010). Nevertheless, women who are depressed tend to report hot flushes as more problematic – but the causal direction is unclear (Hunter & Mann, 2010). There is evidence suggesting that early abuse and neglect has an effect on later hot flush reporting (Thurston et al., 2008). This could be explained by the influence of early adverse experiences on the hypothalamic–pituitary axis, which has been shown to affect cortisol and diurnal rhythm of cortisol levels (Cooper, 2007). Anxiety before the menopause is associated with the presence and severity of hot flushes; women with moderate or high anxiety levels were three and five times more likely to report hot flushes than women in the normal anxiety range (Freeman et al., 2005). In a study comparing Caucasian and Asian women living in the UK and in Delhi, peri– and postmenopausal women were interviewed about their experience of menopause, lifestyle and health. Asian women and Caucasian women living in the UK reported the greatest number of hot flushes while Asian women living in Delhi reported the least flushes. Country of residence and anxiety best predicted hot flushes overall; and poor general health, anxiety and less acculturation predicted hot flushes within the UK Asian group (MAHWIS study: Hunter, Gupta et al., 2009). The Study of Women’s Health Across the Nation (Avis et al., 2001) compared women living in the US from a range of ethnic communities; African American and Hispanic women reported most hot flushes, Japanese and Chinese ethnicity the least, and Caucasian women fell in between. These ethnic differences were partly explained by lifestyle factors, such as obesity, smoking, alcohol consumption and acculturation, and by socio-economic factors. Could climate also influence the experience of hot flushes and night sweats? Sievert and Flanagan (2005) suggested that women who live in seasonal climates may have a greater frequency of hot flushes due to the variations in temperature. This idea supports physiological theories of a greater sensitivity to temperature changes in menopausal women experiencing hot flushes. An international study is in progress to examine the impact of climate, altitude and temperature upon experience of menopause and will hopefully answer this question. Cultural attitudes and meanings of menopause may also influence how women perceive or report symptoms; for example, the extent to which menopause is seen as a medical condition versus a natural phenomenon, or whether mid-life represents positive or negative social changes within a society. Rural Greek women have been found to report menopausal symptoms as not very troublesome and tend not to seek medical help. Non-European and non-European-American women tend to have more favourable attitudes and expectations of menopause and they report fewer hot flushes. Early studies suggest the benefits of menopause in some cultures include freedom from societal taboos and restrictions associated with menstruation as well as freedom from the burdens of repeated pregnancies, which can be dangerous and stressful due to a lack of medical facilities (Beyene, 1989; Flint, 1975). Furthermore, menopause in many developing countries tends not to be regarded as a medical problem and thus might be accepted with less focus on ‘symptoms’ and more as a natural part of life or ‘God’s will’ (Hunter, Gupta et al., 2009). There are also cultural differences in the attributions of different types of symptoms to the menopause. For example, in the MAHWIS study Asian women commonly attributed visual changes (becoming short-sighted in middle age) to the menopause as well as weight gain and high blood pressure, while white British women attributed tiredness and mood changes to the menopause, in addition to hot flushes. In Western societies women tend to be valued for their physical and sexual attractiveness, reproductive capacity and youthfulness. Ageing is often viewed negatively among women and wider society. To add to this there is a general belief that women going through menopause inevitably become depressed, irritable and moody, yet there is no conclusive evidence to support this (Dennerstein et al., 2004). In a recent systematic review, Ayers et al. (2010) concluded that there is a relationship between attitudes and experience, but further research is needed. Two prospective studies show that negative attitudes before menopause predict depressed mood and hot flushes during the menopause, suggesting that negative attitudes towards menopause can affect symptom experience – a self-fulfilling prophecy (Avis & McKinlay, 1991; Avis et al., 1997). Yet, for many women, menopause is a time for reflection – a natural process or life transition. 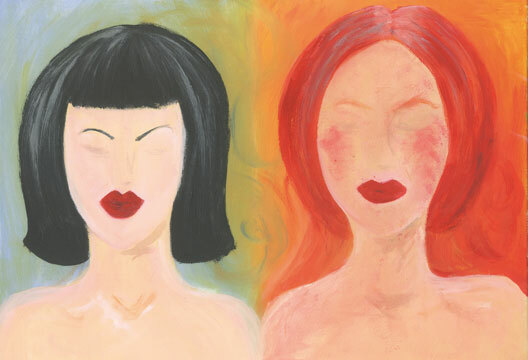 Hunter and O’Dea (1997) interviewed British women on their experiences and beliefs about menopause and found they had positive, neutral and negative reactions. Women reported that they were pleased that they no longer had to deal with periods, premenstrual problems or fear of pregnancy, suggesting menopause was a relief rather than a sense of loss. Women were fairly neutral about the ending of reproductive capacity feeling that this had been dealt with in the 10 years before. They also spoke about negative aspects of menopause such as dealing with problematic hot flushes and night sweats and the general consequences of ageing. However, a common theme was a concern about the unknown and a fear of ‘falling apart’ and ‘letting yourself go’ during the menopause, which appeared to draw on negative social discourses of ‘decline and decay’. In summary, the cultural variation in experience of menopause might be partly explained by the social meanings of menopause, which influence beliefs and attitudes as well as healthcare services. Women with negative stereotypes of menopausal women and negative beliefs about menopause may fare worse as they move through the menopause transition. But in addition, lifestyle and the social and economic context should not be overlooked and health promotion aimed at smoking cessation and avoiding weight increases during the menopause warrant further research. - beliefs about night sweats and sleep. Beliefs related to the social context were most commonly mentioned: women described negative self-beliefs about appearance, attractiveness in social situations, resulting in embarrassment and shame – for example, ‘during a flush I feel stupid, embarrassed, incompetent, unattractive’ – which were associated with higher levels of distress. Common behavioural strategies included avoiding social situations, covering the face and using fans or wipes (Hunter, Coventry, Mendes et al., 2009; Hunter et al., in press). Smith et al. (in press) went on to examine the validity of these beliefs. In a survey of younger men and women’s beliefs about women showing signs of redness or sweating in a work context, they gained evidence that did not support the menopausal women’s fears. While these younger men and women did hold generally more negative stereotyped beliefs about menopause and its consequences, they had fairly neutral or positive reactions to their work colleagues. In fact, younger people attributed a range of causes to visible hot flush symptoms (signs of redness and sweating) that were not confined to menopause; for example they could be due to health problems, emotions, physical exertion, body temperature and environmental factors. Also, younger people did not report negative reactions to women with signs of flushing. These findings suggest the social anxieties of menopausal women may be overestimating the extent to which people can identify their menopausal status/symptoms. Smith et al. suggest that this evidence can be used in cognitive therapy interventions with menopausal women, which might alleviate their distress and reduce social avoidance. A cognitive model of hot flushes and night sweats, developed by Hunter and Mann (2010), describes how a range of psychological factors might influence the perception and appraisal of hot flushes and night sweats – see Figure 1. The model draws upon theories of symptom perception, self-regulation theory and cognitive behavioural models, and suggests that biological, psychological, social and cultural factors are linked in determining a women’s menopause experience. A menopausal woman might perceive the physical sensations of a hot flush, attribute them to the menopause by deciding it is a menopausal hot flush (as opposed to another explanation, such as just being hot) and appraise it as troublesome or not before taking behavioural actions. The model suggests areas for future research and suggests how psychological interventions might target particular pathways in the hot flush process. For example, depressed mood and negative beliefs are associated with problem rating – the extent to which hot flushes are seen as bothersome or problematic – and problem rating is strongly associated with help seeking. Thus cognitive factors may have an important role in whether women seek help for their hot flushes and night sweats. What can psychologists do to help menopausal women? The model was designed to identify factors that might be the focus of interventions to help women deal with hot flushes and night sweats. A cognitive behavioural treatment has been developed with promising outcomes, suggesting a 40–50 per cent reduction in hot flushes and their problem ratings. This is based on either individual cognitive behavioural therapy (CBT) of four sessions (Hunter & Liao, 1996) or group CBT of six sessions (Hunter, Coventry, Hamed et al., 2009). The CBT approach is psycho-educational with individual treatment goals and a focus on cognitive and behavioural changes. This treatment is now being tested in two randomised control trials (Ayers et al. 2011; Mann et al., 2011). One is for breast cancer patients who have developed menopausal symptoms following breast cancer treatment, and the other is for well women from the local community. The aim of the intervention is to help women to understand the factors affecting hot flushes and night sweats, to reduce triggers and stress, and to use paced breathing and cognitive and behavioural strategies to deal with hot flushes, night sweats and sleep. Cross-cultural research has challenged the idea that menopause is a universal phenomenon, suggesting it is fluid and a product of biological, psychological, social and cultural factors. This resonates well with the claims made by many feminist commentators of previous decades. Biologically, something happens to women, but the experience is so diverse that rather than uniting women across the globe, menopause serves to demonstrate how varied the perceptions of physical changes can be. While the majority of women experience the menopause as a relatively neutral event, women, living in Western countries tend to report more symptoms. We argue that menopause is an important life stage for psychologists to consider, as a large number of women seek help during the menopause transition for health education, information, and advice as well as for treatment for problematic hot flushes and night sweats. It is important that health professionals are aware of the influences of menopause beliefs, lifestyle and cultural traditions and are able to provide women with balanced, evidence-based information to enable them to make informed choices. There is still a lot of research to be done. Cultural differences in menopause experience are still not clearly understood, nor are the precise causes of hot flushes and night sweats. It is hoped the results of the cognitive behavioural intervention studies will provide further direction for the development of non-medical interventions to enable women to have a choice when dealing with troublesome menopausal symptoms. Health education about menopause is still needed to actively challenge the combination of the biological/medical model and a degree of ageism and sexism in Western cultures and to promote a bio-psycho-social-cultural approach to this stage of life. Andrikoula, M. & Prevelic, G. (2009). Menopausal hot flushes revisited. Climacteric, 12, 3–15.Avis, N.E., Crawford, S.L. & McKinley, S.M. (1997). Psychosocial behavioural and health factors related to menopause symptomatology. Womens Health, 3, 2, 103–120. Avis, N.E. & McKinlay, S.M. (1991). A longitudinal analysis of women’s attitudes toward the menopause: Results from the Massachusetts Women’s Health Study. Maturitas, 13, 1, 65–79. Avis, N.E., Stellato, R., Crawford, S. et al. (2001). Is there a menopausal syndrome? Menopausal status and symptoms across racial/ethnic groups. Social Science and Medicine, 52, 345–356. Ayers, B., Forshaw, M. & Hunter, M. (2010). The impact of attitudes towards the menopause on women's symptom experience: A systematic review. Maturitas, 65, 28–36. Beyene, Y. (1989). From Menarche to menopause: Reproductive lives of peasant women in two cultures. Albany, NY: State University of New York Press. Bromberger, J.T., Schott, L.L., Kravitz, H.M. et al. (2010). Longitudinal change in reproductive hormones and depressive symptoms across the menopausal transition. Archives of General Psychiatry, 67, 6, 598–607. Chedraui, P., Aguirre, W., Calle, A. et al. (2007). Risk factors related to the presence and severity of hot flushes in mid-aged Ecuadorian women. Maturitas, 65, 4, 378–382. pituitary–adrenal axis: Cortisol, DHEA and mental and behavioural function. In A. Steptoe (Ed.) Depression and physical illness (pp.280–298). Cambridge: Cambridge University Press. Dennerstein, L., Guthrie, J.R., Clark, M. et al. (2004). A population-based study of depressed mood in middle-aged Australian-born women. Menopause, 11(5), 563–568. Flint, M. (1975). The menopause: Reward or punishment? Psychosomatics, 16(4), 161–163. Freeman, E.W., Sammel, M.D., Grisso, J.A. et al. (2001). Hot flashes in the late reproductive years: Risk factors for African American and Caucasian women. Journal of Women’s Health & Gender-Based Medicine, 10(1), 67–76. Freeman, E.W., Sammel, M.D., Lin, H. et al. (2005). The role of anxiety and hormonal changes in menopausal hot flashes. Menopause, 12(3), 258–266. Freeman, E. & Sherif, K. (2007). Prevalence of hot flushes and night sweats around the world. Climacteric, 10, 197–214. Hunter, M.S., Coventry, S., Hamed, H. et al. (2009). Evaluation of a group cognitive behavioural intervention for women suffering from menopausal symptoms following breast cancer treatment. Psychooncology, 18, 560–563. Hunter, M.S. Coventry, S. Mendes, N. & Grunfeld, E.A. (2009). Menopausal symptoms following breast cancer treatment: A qualitative investigation of cognitive and behavioural responses. Maturitas, 63(4), 336–340. Hunter, M.S., Gupta, P., Papitsch-Clark, A. & Sturdee, D.W. (2009). Mid–aged health in women from the Indian subcontinent (MAHWIS): A further quantitative and qualitative investigation of experience of menopause in UK Asian women, compared to UK Caucasian women and women living in Delhi. Climacteric, 12(1), 26–37. Hunter, M.S. & Liao, K.L.M. (1996). Evaluation of a four-session cognitive behavioural intervention for menopausal hot flushes. British Journal of Health Psychology, 1, 113–125. Hunter, M.S. & Mann, E. (2010). A cognitive model of menopausal hot flushes and night sweats. Journal of Psychosomatic Research, 69, 491–501. Hunter, M.S. & O’Dea, I. (1997). Menopause: Bodily changes and multiple meanings. In J. Ussher (Ed.) Body talk. London: Routledge. Hunter, M.S. & Rendall, M. (2007). Bio-psycho-socio-cultural perspectives on menopause. Best Practice & Research in Clinical Obstetrics and Gynaecology, 21(2), 261–274. Hunter, M.S., Smith, M. & Ayers, B. (in press). The Hot Flush Behaviour Scale (HFBehS): A measure of behavioural reactions to menopausal hot flushes and night sweats. Menopause. Menon, U., Burnell, M., Sharma, A. et al. (2007). Decline in women using hormone replacement therapy at recruitment to a large screening trial in the UK. Menopause: Journal of the North American Menopause Society, 14(3), 462–467. Rendall, M., Simonds, L.M. & Hunter, M.S. (2008). The Hot Flush Beliefs Scale: A tool for assessing thoughts and beliefs associated with the experience of menopausal hot flushes and night sweats. Maturitas, 60(2), 158–169. Rossouw, J.E., Anderson, G.L., Prentice, R.L. et al. (2002). Risks and benefits of oestrogen plus progestin in healthy postmenopausal women: Principal results from the Women’s Health Initiative randomised controlled trial. Journal of the American Medical Association, 288, 321–333. Schwingl, P.J., Hulka, B.S. & Harlow, S.D. (1994). Risk factors for menopausal hot flashes. Obstetrics & Gynecology, 84(1), 29–34. Sievert, L.L. & Flanagan, E.K. (2005). Geographical distribution of hot flash frequencies: Considering climatic influences. American Journal of Physical Anthropology, 128, 437–443. Smith, M.J., Mann, E., Mirza, A. & Hunter, M.S. (in press) Men and women’s perceptions of hot flushes within social situations. Maturitas. Thurston, R., Bromberger, J., Chang, Y. et al. (2008). Childhood abuse or neglect is associated with increased vasomotor symptom reporting among midlife women. Menopause, 15(1), 16. Thurston, R.C., Sowers, M.F.R., Sternfeld, B. et al. (2009). Gains in body fat and vasomotor symptom reporting over the menopausal transition. The Study of Women’s Health Across the Nation. American Journal of Epidemiology, 170(6), 766–774. Whiteman, M., Staropoli, C., Benedict, J. et al. (2003). Risk factors for hot flashes in midlife women. Journal of Women's Health, 12(5), 459–472. Wilson, R.A. (1966). Feminine forever. New York: Evans. Teaching happiness - a brave new world?